If you click on my music category you won’t find too many postings. Not because I’m a music snob … I’m married to the Naked Bacon Band. My husband plays bass and mandolin … and when he’s not playing for them, he’s getting his own gigs for his quirky original songs. This past Sunday, we went to the Bait House River Bar to celebrate a friend’s birthday and got to hear Toledo’s Last Born Sons. My husband said to describe them as classic rock and traditional country and that they play everything from Robin Trower to Merle Haggard. They were really fun, got the crowd rocking and laughing with their funny quips between songs, and played two awesome sets. 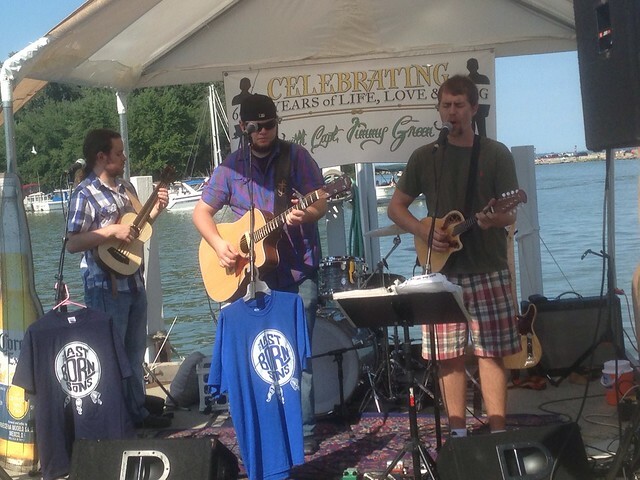 They’ll be at Dock’s Beach House in Port Clinton on Aug. 31, check them out!